Brand new style presented by SwissLuxury.Com. Guaranteed authentic with official red leather deluxe box set and authorized dealer stamped warranty certificate. 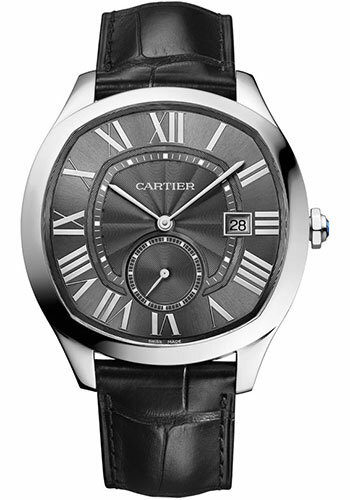 40mm x 41mm stainless steel case, 11.25mm thick, octagonal crown set with a faceted synthetic spinel, sapphire crystal, black flinqué dial with applied polished steel Roman numerals, leaf-shaped polished steel second hand, sword-shaped polished steel hour and minute hands, caliber 1904-PS MC self-winding movement with calendar aperture at 3 o'clock and small seconds counter at 6 o'clock, approximately 48 hours of power reserve, black semi-matte alligator skin strap, 18 mm steel double adjustable foldin buckle. Water resistant to 30 meters.